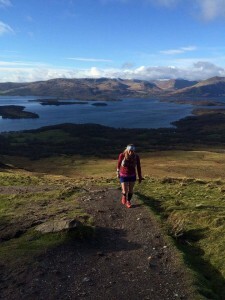 West Highland Way Race- A training update. So my plan to write up all my training week by week fell flat on its face. Mainly because a lot of the training was in the dark, in the rain, on the pavement… and I really didn’t think it made very entertaining reading. However, now that my wonderful Exercise to Music course is out the way (which I passed by the way…woohoo!) and the clocks have gone forward, I’m more compelled to get out and run in the mornings and after work…. even when it’s raining! The main point is that training is going well. After a fantastic run at the D33 and a pretty strong run at Alloa the following week, and with only a few aches and pains and creaky joins I’m feeling slightly more confident about everything. My only worry is how quickly time is passing; less than 3 months until race day now!! 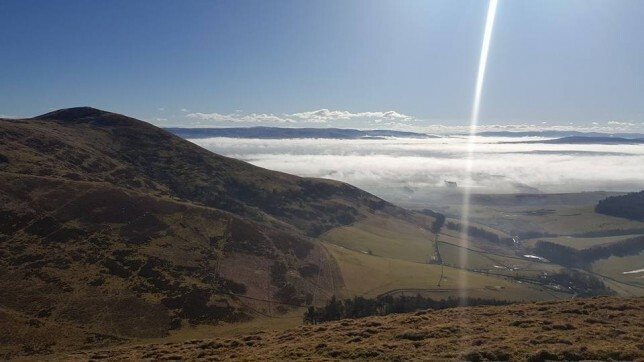 Running the Pentland Skyline route above the clouds. 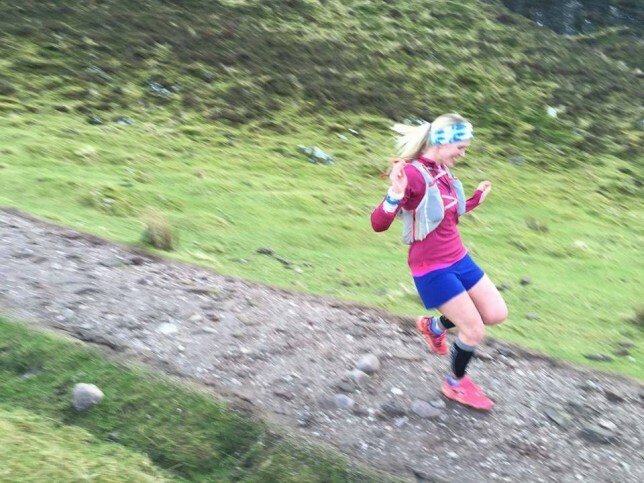 18 miles of hills…. feed me now! Although I haven’t been updating the blog much with my training, I keep a note of everything online and I’m pleased with how consistent my training has been. But I won’t lie; It’s tough. Knowing the long term goal is fast approaching is more than enough motivation to get me moving, but it’s definitely a mental challenge as well as a physical one. My body has never known this many miles so early on in the year – it’s the beginning of April and I’m already over 600 for the year. Add in all the extra strength classes, core and spin training I’m doing and my body has developed muscles in places I never knew I had muscles. And it hurts. Clicking the submit button on my application just over 6 months ago now seems like a life time ago and yes I knew what I was getting myself into when I did it and it was the kick up the bum to knock my training up a gear but I don’t think I realised how mentally tough it would be. My running friends are amazing and tracking their progress online and seeing how well they are doing at races spurs me on to give my everything as well, but once home I just want to sleep. I went out on a rare night out with Craig and my friends on Friday for a meal and to the cinema, and not even half an hour into the film and I was asleep…. I’m amazing company just now! It’s not all bad with scenery like this! 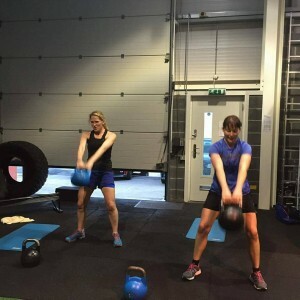 Churning out the kettlebell swings. My family are more than supportive although they think I’m totally daft. 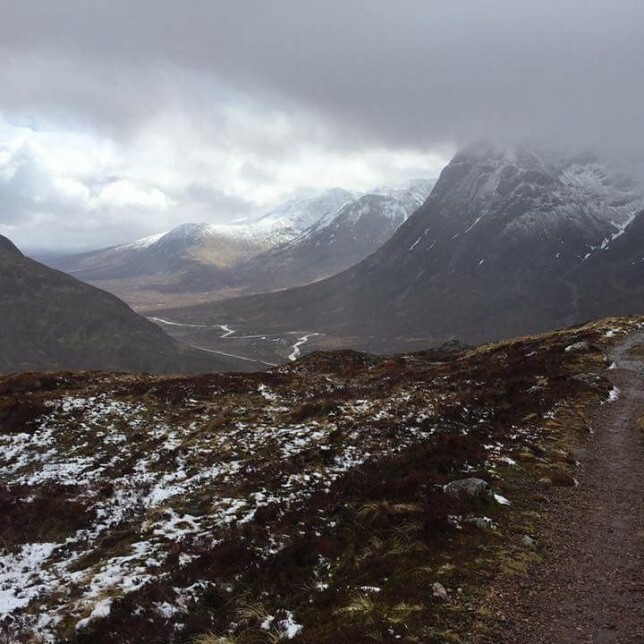 My brother Duncan and my sister-in-law Jemma are both running the Highland Fling at the end of this month, and understand my obsession for running but the rest think I’ve totally lost it. 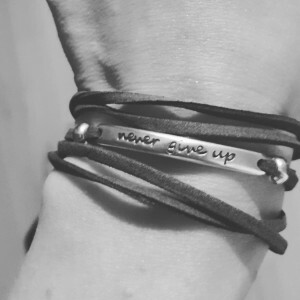 My ever-patient husband Craig understands my passion for running but as he’s not a runner himself he does question my sanity when he sees me hobbling around the house daily, grumbling to myself and scraping myself out of bed at silly o’clock to go to the gym. At the top of the Devil’s staircase in the snow. The run that had 4 seasons in one day! For now the training continues and I’m having one last big push until we go on holiday on Friday and then I’ll reel the miles in before London (which I will just bimble around) and the Fling (where I don’t have a time in mind but hope for a strong race). I can’t wait to spend a few non-running days with my husband and (hopefully) get some sunshine. We’re off to Croatia, Bosnia and Montenegro with a few days in Norway either side… so no doubt we’ll be marching miles every day to see all the amazing sights, but I can’t wait. Remembering I do this because I can and because I want to.